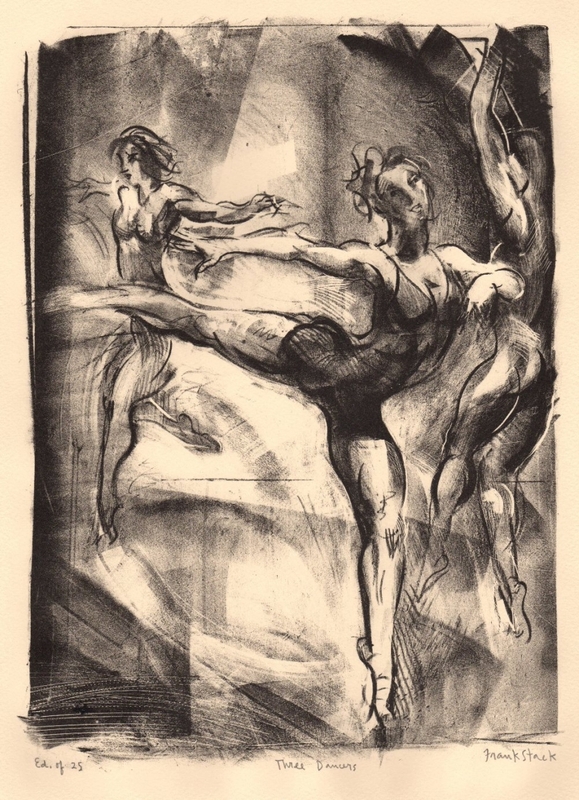 This original pencil-signed lithograph,entitled "Three Dancers" represents a scene from a local danc studio frequented by the artist. In it Stack captures the grace and elegance of the young women as they perform their dance moves. This print is from a limited edition of 25. Image size: 12.5" x 9", Sheet size: 15" x 11".